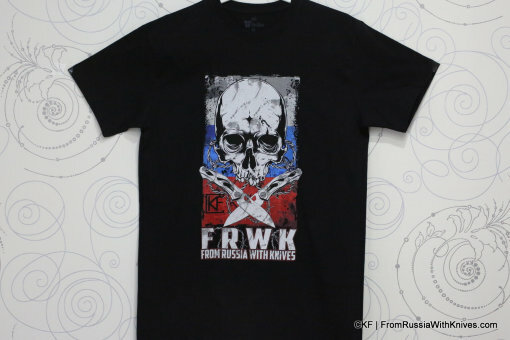 FromRussiaWithKnives.com is the selling website of CustomKnifeFactory Team. We are proud to produce and sell knives from some of the finest designers that exhibit a high level of old world craftsmanship with high tech materials and techniques. We take our business and service seriously, we look forward to providing you the limited edition knives with our superior service. Our business is online, nevertheless we take part in several world knives exhibitions (BladeShow, ShotShow, IWA).We are located in Moscow (Russia), 119415, Udaltsova 27, ordering best materials from USA suppliers and using CNC machines for making details in the best Russian and Chinese workshops. Our location helps keep our costs in line which is why we can offer you great knives with TOP-materials while still providing you with affordable prices. We are a relatively small company and offer our customers personalized service. When you make order here or contact us in social media, you will likely see the respond from Mikhail Kulygin (owner), Anastasiya, Katia or Max and we will try to make the purchasing process as easy as possible. This beautiful knife was on my dream list and FRWK made it possible on Black Friday. This knife is a real gem and is the most beautiful of my collection. Many thanks to FRWK.